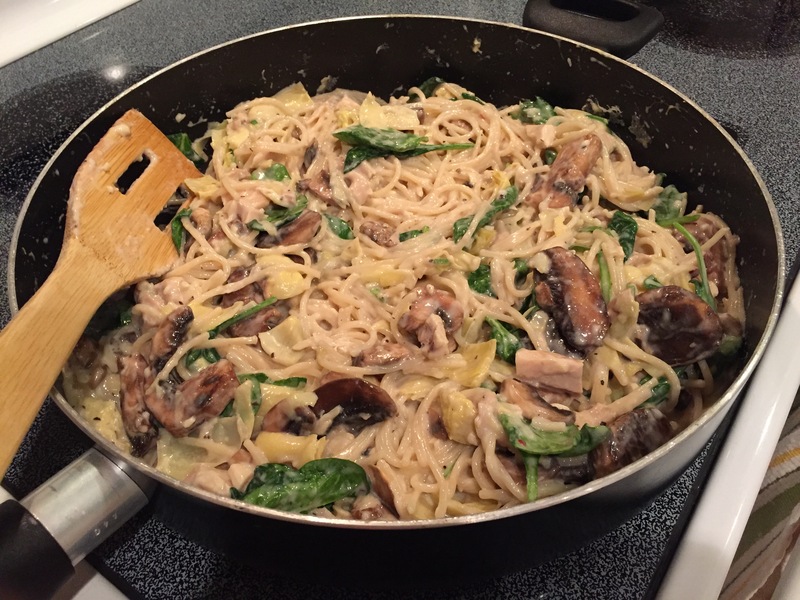 One Pot Pasta – Go Blondie! A while back, I found a blog on Pinterest that was a budget friendly food site. The blogger breaks cost of meals down by meal, individual serving and ingredient price. The blog is Budget Bytes. I love the descriptions and the step by step photos. The last month, we have been beyond busy with packing and moving but I made a point to make sure we got a good meal in between all the chaos. This is the photo of our dish. I added mushrooms, rotisserie chicken, white wine, lemon and red pepper flakes. I also used gluten free noodles so it is a gluten free dish. It was easy to make. Carl gave it a 8 or 9 out of 10 for taste. Here is the link to look it up.